Mr. Wang from Taiwan mailed me a link to an old AFNT CCK radio program. A change of pace; and it's kind of fun to envision games being played at CCK so many years ago. 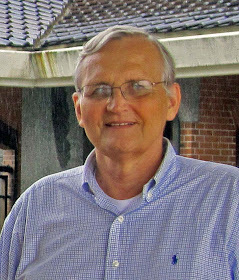 When I was stationed at Hurlburt Field in the early 1960s, the NCO Barracks was right along the soft ball field, across the street from the NCO Club. In those days, just about every unit had a soft ball team, and the rivalry was always hot. Most games were played in the evening. I used to walk out the front door and grab a grilled hot dog right off the BBQ grill, load it up with onions, pickles, ketchup and mustard, grab a cold Bush and sit on the bleachers to watch a game. It wasn't long before I headed back to the snack shed to get another hot dog. Those dogs were the best I have ever tasted. My days in Florida were sweet. Sit back and relax as you turn on your "mind's eye" and enjoy the games from the Field 2 Ball Park at CCK. Did Field 2 serve a good Hot Dog? 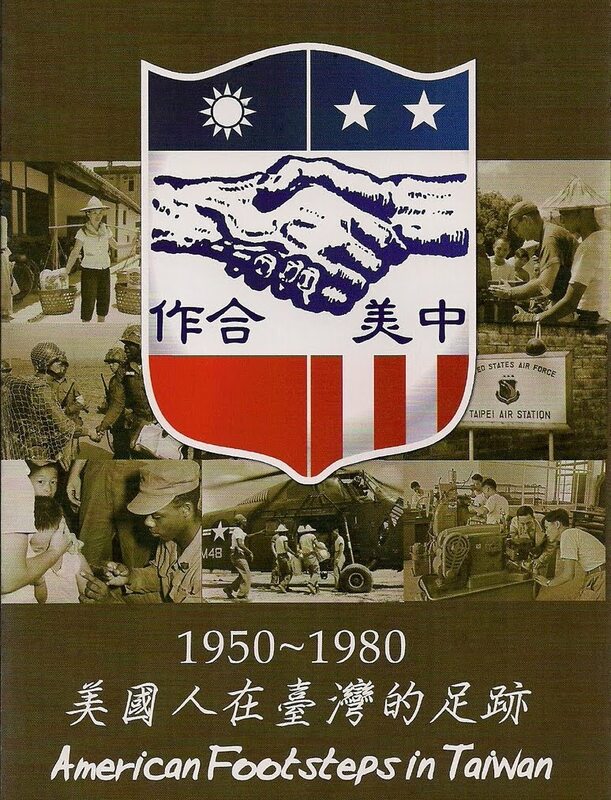 Scott Ellinger submitted the wining bid for this copy of the latest CCK Welcome Booklet to be found. 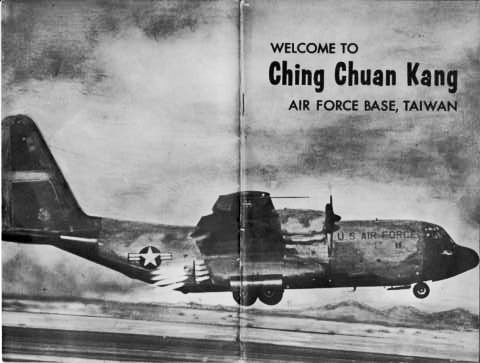 The booklet was published by the 13th Air Force Office of Information at Clark AB in November 1967. You can review the booklet HERE. Does anyone recognize the C-130 taking off? Maybe your aircraft? The Linkou Club, the place to grab a snack, a drink or just relax. It's doors were open virtually around the clock. 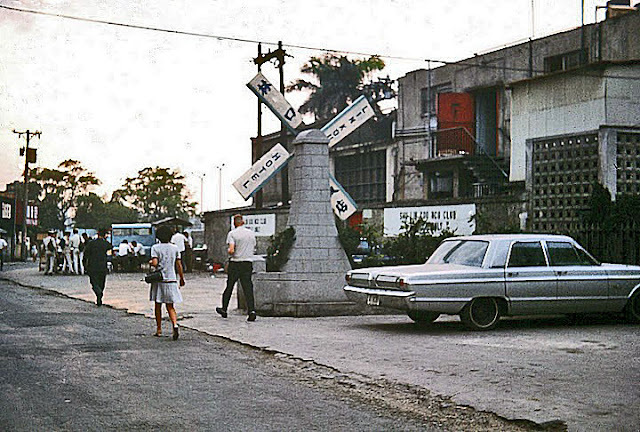 No matter where you worked, if you visited the Navy Exchange, an office in HSA or just had the day off, it was the Linkou Club where you found peace of mind and a taste of home. For after hours folks, it was the Linkou Club who catered to late night crowd. Not very much has been written on the Linkou Club. It was just down the street from the Foreign Affairs Service Department (FASD) Hostels, it was just outside the HSA East Gate which made it an easy walk from the Navy Exchange and Commissary parking lot, and it was within walking distance for the many folks who had apartments in the area of HSA. I have to admit, I had always thought that the club was physically located in an old Japanese Era house. I have no idea how I came to that conclusion. 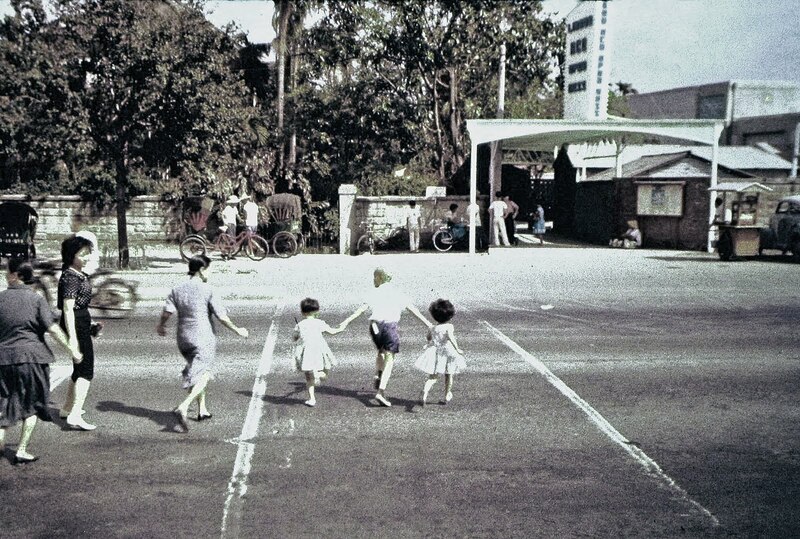 I remember walking under a short covered walkway along a sidewalk from the Chung Shan North Road entrance. That's all I can recall today, but it's been 43 years since I visited the old Linkou Club. Today, with the arrival of new photographs of the area, I believe we can explain just where the old club was located and how things changed over the years. Another great story from our days in Taiwan. Don't forget - Double click on all the photos - to see a larger size photo for closer viewing of the picture! 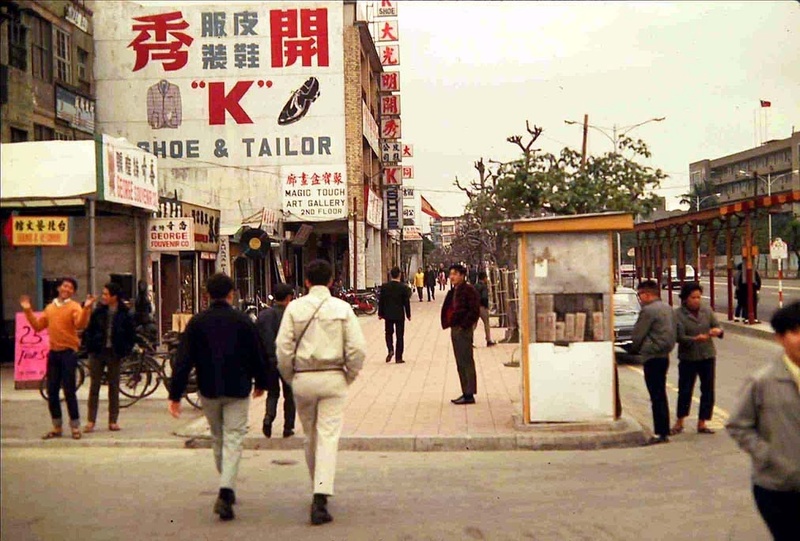 I believe this photo and the two under are the oldest photos that have surfaced of the Shu Linkou NCO Open Mess entrance walkway on Chung Shan North Road. In this photo, I believe you can see the HSA East Compound Gate Posts just under the tree in front of the Ford Fairlane parked along the sidewalk just in front of the ice cream pedlar's cart. The gate posts look to be brick. Do you see them? We'll talk about the gate and fence later. In these 2 photos you can see the Linkou Club building. It's the white building that is seen just above the pole, that sits in front of the food cart, a girl is standing along the food cart wearing a skirt in the color photo above. 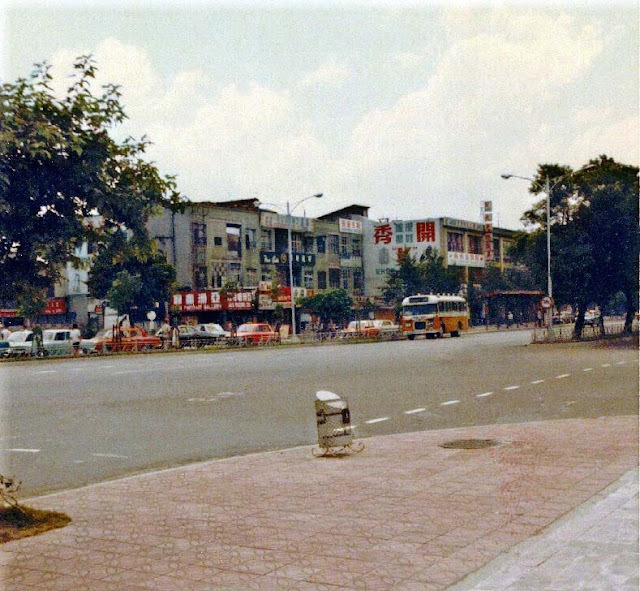 This “stitched” panorama photo above will remind many folks how the area looked before Mintsu East Road was cut through to connect with Chung Shan North Road. 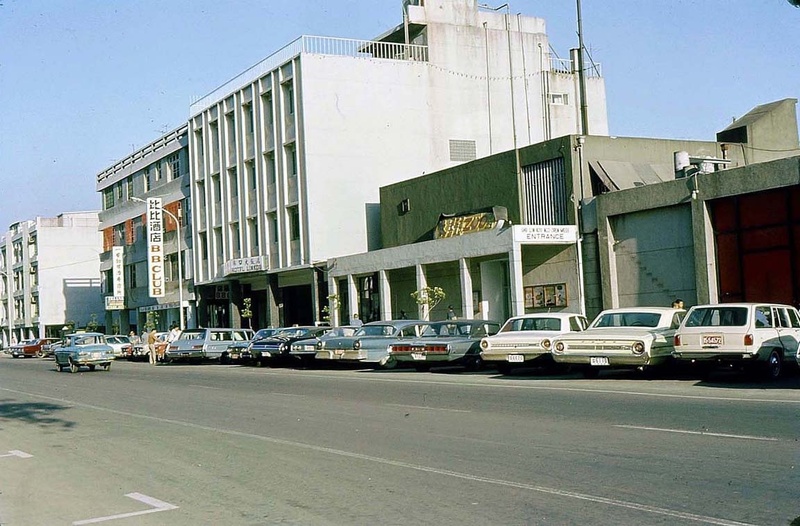 I remember parking my Mustang across the street, along the area where the dark color Ford sedan is parked in the above photo. In those days you could park anywhere. In that particular area, from the Linkou Club entrance sidewalk northward to the HSA East Compound entrance gate, many “Chop” Auto Salesmen would sit around waiting to catch a new arrival driving up in his just off-the-ship automobile The first few days after military folk’s autos arrived on-island were critical to the Chop Salesmen in trying to bag those large American automobiles for their local clients. Many a car deal was transacted along that sidewalk. 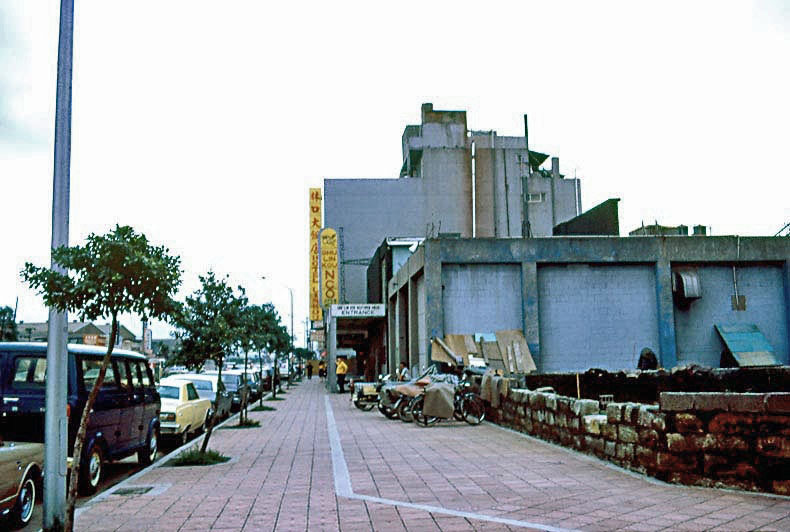 This photo clearly shows the Linkou Hotel and Linkou Club before Mintsu East Road was cut through to connect with Chung Shan North Road. This photo was taken from approximately the same area as the black and white photo above. Mintsu Road ended here, notice the trees and the fence along the center of the street. Notice the “K” Shoe and Tailor sign here and in the photo above. The street the two men are crossing ran to the left in the rear of the Linkou Club and the Linkou Hotel. 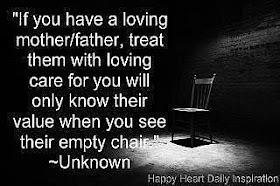 See the photo below. The GI seems to be in a hurry, maybe to catch the Linkou Shuttle Bus back up the hill. This photograph was taken on the street that ran along the rear of the Shu Linkou Hotel and Club. Up at the corner, just past the power pole with the transformer on the left of this photo, this street connects with Chung Shan North Road. It is the same corner the 2 guys in the photo above are walking across. 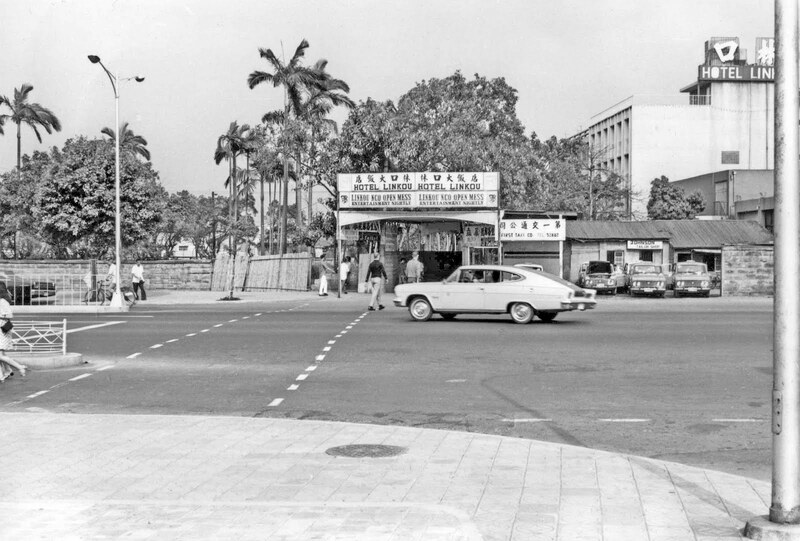 Some time in 1969 the city decided to open Mintsu East Road. 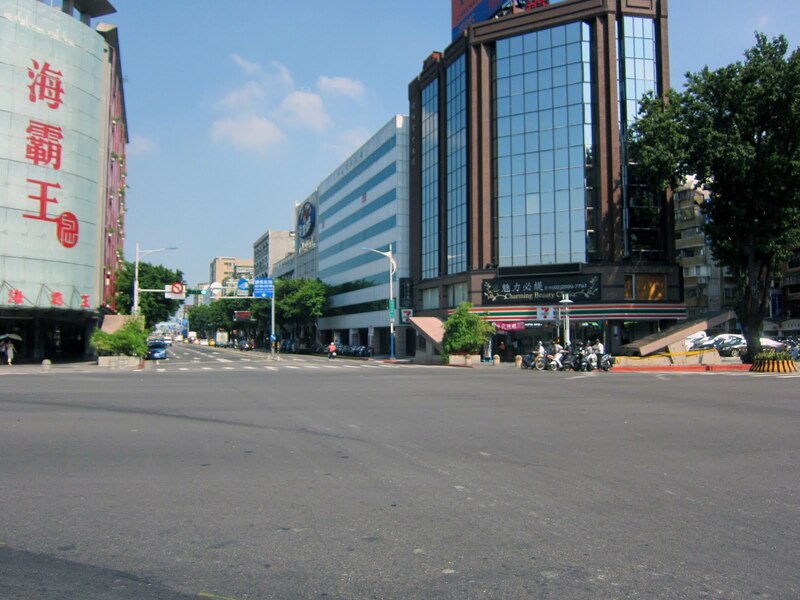 To open the road, all of the buildings which sat along Chung Shan North Road in the roadway of the new Mintsu East Road had to be removed. Everything was taken out along that area, probably up to the south side of the HSA East Compound fence line. After the road opened, the area was completely different. 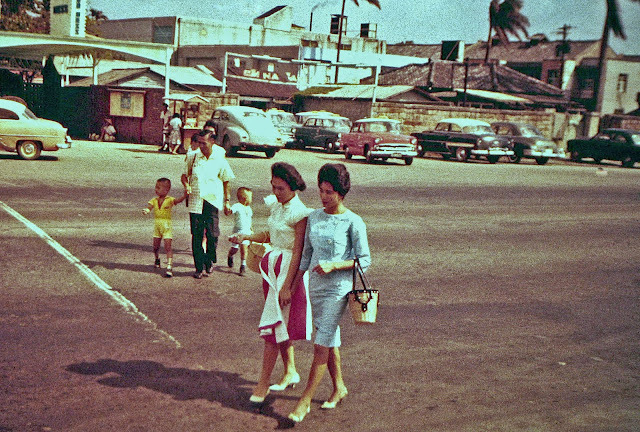 A friend wrote and said when he arrived in January 1970, the road had been cut through and everything was completed along Mintsu East Road, no indication of recent road work. Photos of the Linkou Club and a shot looking east toward the Linkou Club taken from Mintsu West Road, the newly opened Roma Hotel can also be seen in the left side of this photo. The stone wall in the 2nd photo above, along the wall where the bicycles are parked is where the 7-11 store stands today. The 7-11 store on the corner today. Between the 7-11 and the salmon colored building in the center of this photo is the street which ran behind the Linkou Club and Linkou Hotel. I recently walked down that street and found no hint of the club or hotel. Mintsu East Road today. The Linkou Hotel and Club are long gone, the Roma Hotel is now a restaurant. The Bookstore just to the right of this photo is open. 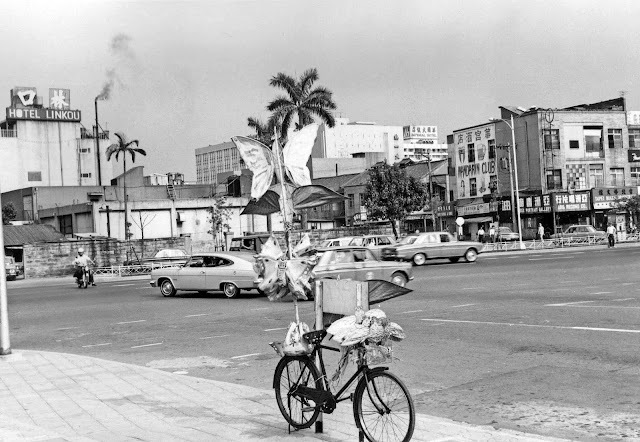 One last look at the Linkou Hotel and Linkou NCO Open Mess as it stood tall on Mintsu East Road. Anyone for a cold one? What memories do you have of the Linkou Club? 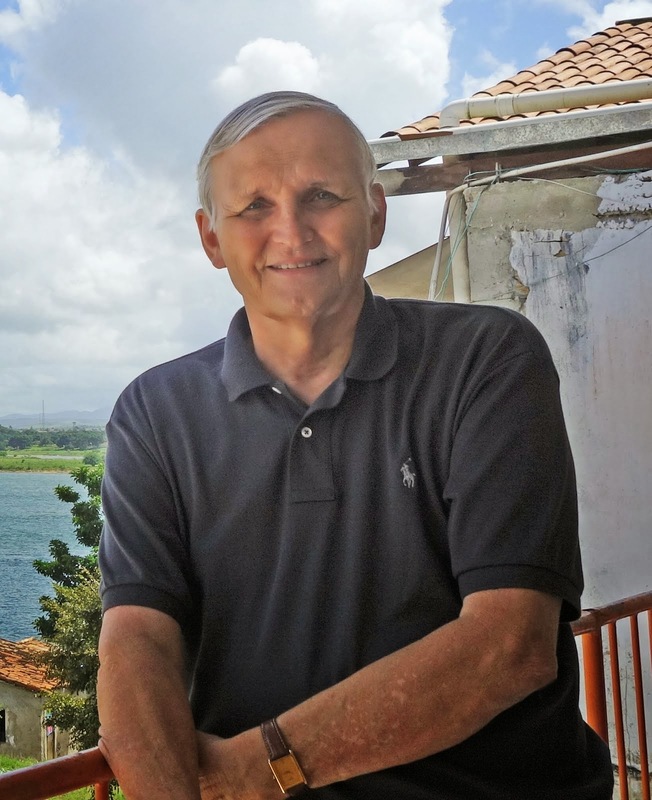 Ernest Ellis, whose father was an Air Policeman stationed at Tainan during 1961-1963 wrote recently asking for help in tracking down a recipe for a couple of famous dishes the Magambo Club featured on their menu during the early 1960s. 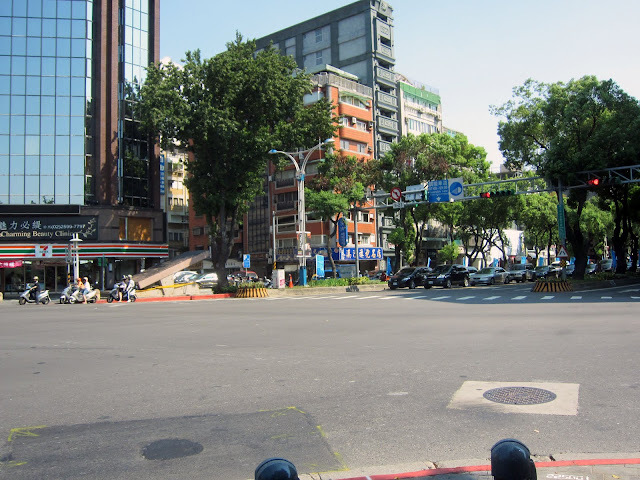 Ernest, who graduated from High School in Tainan, had a few thoughts on those days in Tainan. 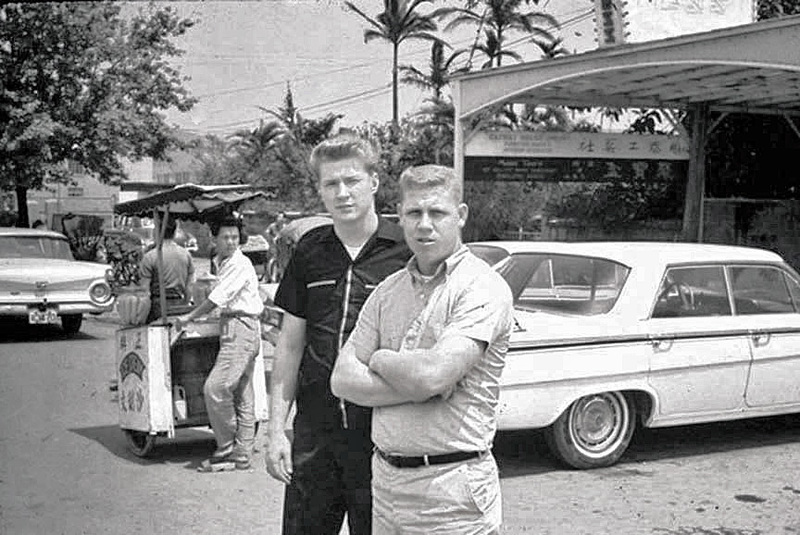 The Magambo club manager was Joe Demarest, who was close friends with Ernest's Dad and a MSgt Ryan, Ryan was also in the Air Police Unit at Tainan. When we got to Tainan, the high school was downtown in the Chinese Chamber of Commerce building. Then they constructed a new school out by the so called 9 House Compound area. We lived at first over by the college area, then moved over to the 9 House Compound area. The Base Commander was a fellow by the name of Deaton. 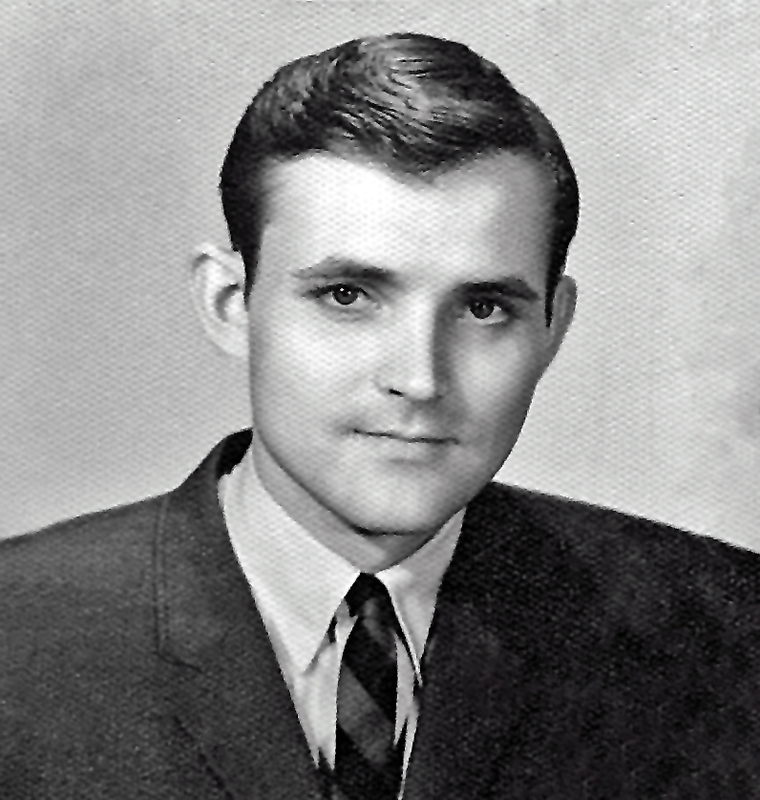 He had a daughter who attended school with me, she later became a nurse, was in the military, retiring as a Colonel. The Officer's Club manager was a Major McCormick, who's son was also in school with me. We stayed at Tainan AB for three years, I came home and joined the military, and stayed in the Army a little over 20 years. Once on R&R from Nam, I went back to see some old friends in Tainan and had a look at the old areas I once knew so well. I took the train from Taipei to Tainan, not the old No Sweat airline. I was in Taiwan when President Kennedy was killed. 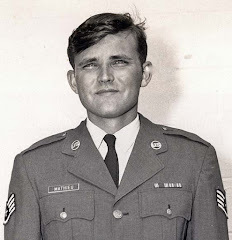 It was a Saturday morning, a SGT Parker told me, and I rode with him out to tell my Dad. The base was on full alert and everyone needed to get back to Tainan Air Station. Chicken fried rice with peanuts, served with gravy. I don't know about you, but that Chicken fried rice with peanuts and gravy sounds really good! Anyone else remember these dishes?